Update Xiaomi Mi 5 to Android 7.0 Nougat Officially . 1 Update Xiaomi Mi 5 to Android 7.0 Nougat Officially . 1.1 Upgrade Mi 5 to Miui 8 Android 7.0 Nougat manually . 1.1.1 How to Update Mi to Android 7.0 Nougat . Do you want to Update mi 5 to nougat officially ? if yes then you are at right place . Today we are here with the guide on How to Upgrade Xiaomi mi 5 to Android 7.0 Manually With Miui 8.6.12.8 . Xaiomi mi 5 is the successor and also the latest flagship device of Xiaomi, The device comes with Snapdragon 820 Processor and 4 Gb of ram . Mi 5 is undoubtedly one of the most powerful android devices and it scored 136875 in antutu benchmark . The Smartphone came with Miui 8 based on android 6.0 marshmallow and now xiaomi is rolling out official Miui 8 based on android 7.0 nougat for Mi 5 . 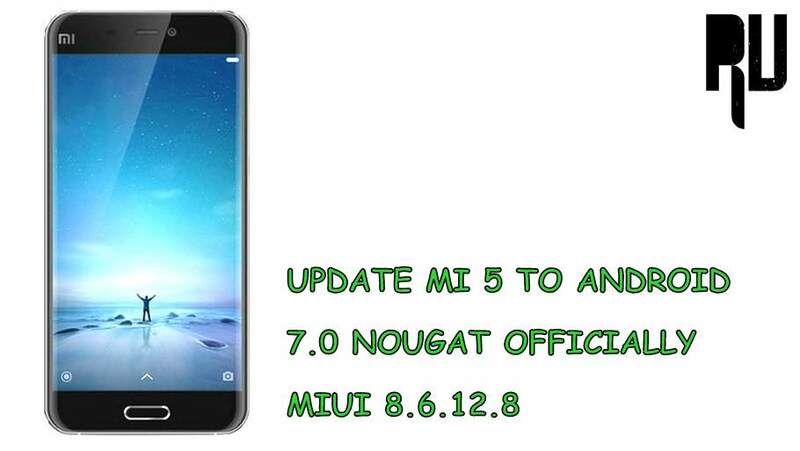 Xiaomi has started testing Miui 8 based on android 7.0 Nougat for Xiaomi devices and the very first device to get the new update is Mi 5, We have also shared a Guide on How to Update Redmi / Mi Devices to Miui 8 Android 7.0 Nougat . As we all know that Miui is a highly customized variant of stock android so you will not notice much changes in the New Miui 8 based on Android 7.0 . Upgrade Mi 5 to Miui 8 Android 7.0 Nougat manually . Slight improvement in Battery life . Ram management is also improved and now you get more free ram compared to the Miui 8 based on marshmallow . More Colors are added in the Doodle feature in gallery . Xiaomi is also expected to Release the New Miui 9 in Mid 2017 and it is also expected that the new Miui 9 will come with major upgrades and totally different design . we have Also shared a Guide on Miui 9 features and Supported Devices List . The Update is only for Mi 5 so dont try to flash the file on any other device . There should be more then 4Gb space . It is recommended that you download the update in Your pc and then transfer it in your device . How to Update Mi to Android 7.0 Nougat . 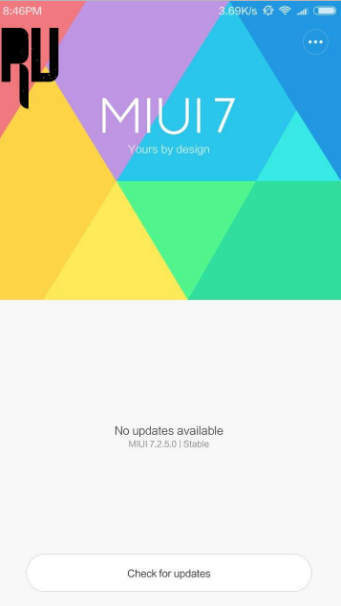 First of all Download Miui 8 Android 7.0 for Mi 5 . 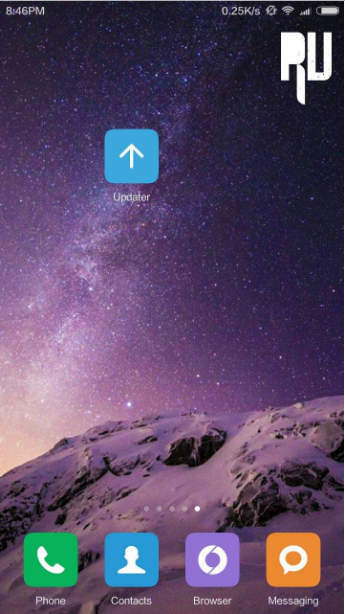 Now go to the updater app from your app Drawer . Now in the updater app you will see settings option . In the settings you will see a option ” Choose update package ” . Now choose the file you downloaded earlier . Now it will ask you to confirm the installation and reboot . Just tap on Yes reboot and install Update . Thats all !! You have successfully update Xiaomi mi 5 to android 7.0 nougat . You can check Your device’s android version by going in Settings > About phone > Android version . You will see that the android version is 7.0 Which means you have successfully updated your device to Miui 8 Nougat . Thats all !!! So this was how you can Officially update Mi 5 to android 7.0 nougat . So this was our guide on How to Update Xiaomi mi 5 to android 7.0 Nougat .